“Ascension is not an action. 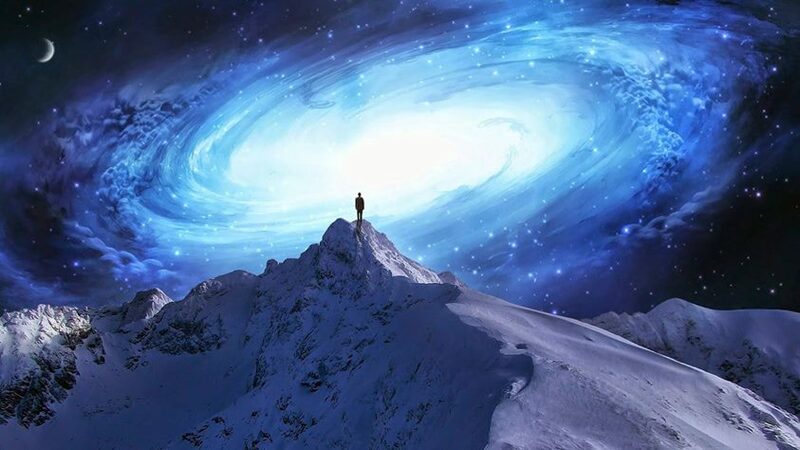 Ascension is a “state of mind” and “frequency of heart.” The state of mind of ascension is the flow of balancing polarities in your thinking to find the middle road. The frequency of heart is the constant focusing, and re-focusing, of your emotions on unconditional love. Around the time I turned six (1949) I began having a recurring dream. In other words, I dreamed the exact dream over and over again. I was about five years old, dressed in a bright yellow party dress and standing on the large front porch of my Grandmother Burgher’s all brick home at 29 Windsor Place in Moberly, Missouri. I had purposefully placed myself to the left of the living room window and was peering, intently, at the wonderful birthday party taking place inside. All of the children at the party were my age. They were laughing and having so much fun! Yet I was observing the fun and games from afar, not participating. Somehow, I knew, even at this early age, that this dream was a symbolic predictor of my life this time around! Interestingly later in life dreams would be extremely important to me, but not yet. I just KNEW this dream was a very significant one, and that someday I would know for sure why this was so. At the time, of course, I knew nothing about dream analysis, nor was I aware of the important dream work Dr. Carl Jung, a Swiss psychiatrist and psychotherapist, was doing at his laboratory in Europe. Later in life I would discover Dr. Jung’s philosophy — that dream analysis is the primary way to gain knowledge of our unconscious mind. By writing down and studying our dreams, we can learn a good deal about ourselves and even gain Divine direction. This powerful idea is also expressed in the Holy Bible. Recurring dreams usually reflect feelings and awareness that we have NOT yet successfully resolved in our waking lives. Unresolved feelings might be related to past altercations with a family member, the loss of a beloved friend or family member, or a lesson we need to learn in order to make spiritual progress in our lives. A recurring dream will continue until we have learned the lesson and incorporated that knowledge into our lives. Around this same period of time I began to feel, deeply, that I was an old soul — that I had lived a life on this planet before. However, it was not until I discovered the concept of reincarnation when I was in my early twenties that I really got it — really understood why I felt the way I did. And when my conscious mind grasped again the concept of reincarnation — my life became more vital, more meaningful, and, yes, absolutely more REAL. I also came to believe that my current lifetime was an extremely important one. I now had a chance to end my exile here, on planet earth, and go home. I know that sounds very strange, but the feeling was very powerful to me. Now where home actually was I did not know. But I believed it must be somewhere where freedom and equality are the way of life for ALL the people, not just some of them. I began thinking of my current life as a sort of preparation for Going Home — to my home somewhere else in the vast, amazing Universe. I think this strong belief was why I fell in love with the Symphony No. 9 in E minor, From the New World, popularly known as the New World Symphony by Antonin Dvorak. Dvorak, a Czech, wrote this popular symphony in 1893 during his three-year stint in New York City as director of the National Conservatory. Dvorak wanted to capture the spirit of this free, democratic country where there was opportunity for all to succeed if people were willing to work for it. This Dvorak symphony is by far one of the most popular of ALL symphonies, in fact, Neil Armstrong took a recording of it to the Moon during the Apollo 11 mission. I agree completely with Fisher’s comment. This beautiful, haunting melody expresses the longing for a heavenly home where justice and peace for all are the order of the day. Going to fear no more. Going to roam no more…. I was completely blown away the first time I heard the powerful Fisher lyrics sung. Let me now share a true gift of love — the unique rendition of Coming Home, sung by the amazing Welsh bass-baritone opera soloist — Bryn Terfel. This 2nd movement — or Largo movement — is played slowly and is quite somber and sad. Yet, the sadness results from memories of the beautiful, loving home we actually came from. This home is THE home that the soul is so desperately longing for! However, in the final or 4th movement of the symphony, the same melody takes on an excitement, as home is now in sight. Prior feelings of yearning and longing are finally being replaced with new feelings of absolute joy and happiness. We are coming home to all that is REAL, at last! So I want to end my blog with the Victorious 4th Movement of the touching, yet POWERFUL Dvorak Symphony. You will feel the exciting energy of Ascension, thought of in Christian mystical terms as Union with God, or the Divine Marriage. It is more a gift God graces us with, rather than something we earn through our works — though works are part of it. 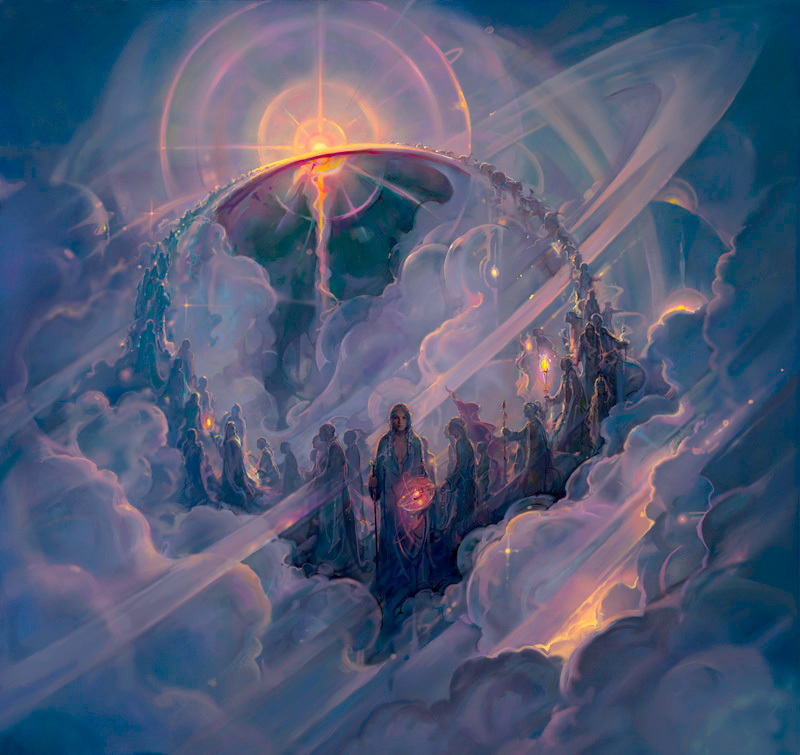 For the past several years, we have talked a lot about ascension. We say we want to ascend, but do we really? Are we willing to approach new information about the cosmic community in which we live with an open mind? Do we really want to learn more enough to set aside our intellectual, rational mind that is dependent upon our 5 lower senses to reveal truth? 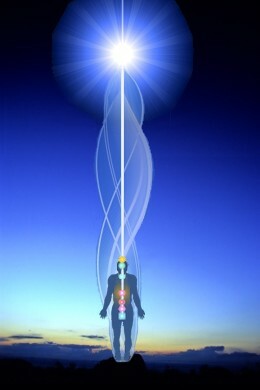 Are we willing to envision the top of our head (where the crown chakra is located) as open wide to receive Truth from our own Higher Self as well as other Higher Beings? Are we willing to open our heart chakra and attune to the Community of Love that exists in the Higher Dimensions? OR, do we insist on viewing life through our two physical eyes that see life from the 3rd dimensional perspective as either black or white, without the loveliness of the brilliant colors within a rare rainbow? Do we notice a rare rainbow in the sky and respond, “I can’t accept that colorful scene because it does not conform to the black and white world to which I am accustomed”? 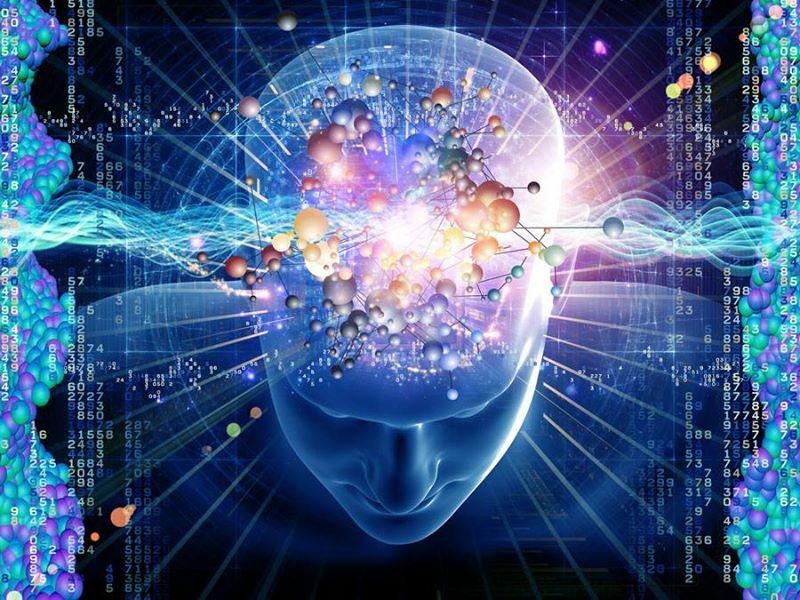 Western cultures, in particular, have stressed the rational or intellectual mind to an almost complete exclusion of the Higher Intuitive Mind. This emphasis on the rational mind has heretofore been very successful in blocking Truth that can only be revealed by the Intuitive mind. We readily accept the fact that 12th grade material cannot be understood within the framework of 1st grade information. We would laugh at anyone attempting to read a science textbook with the vocabulary and reading comprehension of the average 1st grader. And yet, when we hear or read metaphysical (meaning beyond the physical) information that we don’t understand, the tendency is to immediately reject it rather than embark on the exciting adventure of learning more about life beyond the physical. We are taught in Western elementary schools to read with a dictionary close at hand … to look up a word we do not understand. How many of us do that? Do we really want to learn more about what we do not know in this moment? Are we afraid to learn more because we cannot unlearn what we learn and to learn more requires developing a new worldview? I ask these questions because I find the work that Dr. Kathryn May does presents an abundance of information about our cosmic community that is not widely known. I perceive that she, through her channeling, is revealing the story of how our planet is being transformed into its Golden Age. A loving community of Higher Beings are present with us, working hand in hand with us to transform our planet from a dark, prison planet to a radiate Showplace for our Solar System and beyond. The following radio show is an example of the more advanced teachings that are now being given to Earth humans as we move toward ascension to Higher or Christ Consciousness. It might be helpful to write down the new or expanded information you hear on this show. An example is likely to be that the Twin Flames of those Higher Beings, with whom we are familiar, will choose to incarnate into physical bodies in order to work with us on 3rd dimension to help transform Planet Earth. We can expand our understanding of how members of our cosmic community—who live on higher dimensions—work with us. We can begin to comprehend that we are never alone—that we are one of many—seen or unseen—working together! Ascending to a higher level of consciousness requires being honest with ourselves … much self-discipline … balancing the masculine and feminine parts of ourselves … being open to ever-expanding understanding of the nuances in simplistic statements. Heretofore, many have simply accepted a simplistic statement, such as “Focus only on the positive” … “We live in a world of illusions that, when we are granted full consciousness will disappear—it never happened.” Many fear the negative, rather than learning how to see it and to create something positive with the energy. We are seldom taught that energy never disappears … on the other hand, it can be changed to another form. We are seldom taught that we must assist in the transformation by using the Masculine take action part of ourselves. More often, we hear: “Just BE … Live in the NOW.” These simplistic phrases do not connote action. Standing alone, they are very easily misunderstood and misleading. We want ascension to be easy. The New Age book, I’M OKAY, YOU’RE OKAY, was extremely popular in years past. We were taught, “You’re okay just the way you are.” It is not that this statement is false, but that the full concept was not mentioned—“You’re okay just the way you are because you are supposedly learning the lessons your Soul incarnated to learn. You are following your Soul’s Plan for this incarnation. Many resent the statement “you incarnated to learn lessons.” The response is often: “How can I focus only on the positive … how can I be okay just the way I am … and still have lessons to learn?” Often the words lessons and learn are spoken with anger. THERE ARE NO SHORTCUTS TO ASCENSION. Jesus incarnated 2000 years ago to teach us the Way. He taught us: “Enter through the narrow gate. For wide is the gate and broad is the road that leads to destruction, and many enter through it. But small is the gate and narrow the road that leads to life, and only a few find it.” (Matthew 7:13-14) We can ascend only as high as our conscious awareness will allow. For this reason, I suggest studying the following very carefully … honestly evaluating yourself and approach to life. OF ASCENSION INTO FULL CONSCIOUSNESS? from carbon to crystalline-based functioning. explanation. You are familiar with the power of a crystal to hold information. and especially your psychic abilities. and more of the crystalline components which are awakening in your DNA stands. will eventually experience the change. What are the advantages of opening to the incoming catalyst and the effect it brings? depicted in the paintings of your powerful Masters with halos, radiating Light. of your human body, are truly a free energy generator. technologies which are reflections of our individual and group states of being. and painting to make your hearts sing with joy. you will wonder at how you ever survived on the so-called food of “the old days”. the advantages which are in store for them. that would have occurred on previous timelines. herself has created a new paradigm – the best outcome we could have hoped for. You see, the healing chamber you looked forward to is right here beneath your feet. You are being healed and changed moment by moment, day by day. differently, and better for the Greater Good. raising your vibrations and by helping to heal your beloved Mother Earth. state she was in just a few months ago. and made it unnecessary for us to intervene publicly. and your ability to forge ahead against difficult odds. You are admired greatly. project which is going to unfold with as little disruption and chaos as possible. receiving your blessings, along with our encouragement to continue your great good work. It is truly a New Day ahead. As St. Germain has said, it is only a breath away. you have known in the past as Yahweh, Zorra, Jehovah and Allah.